Guess all of you are not strange with the Shokubutsu, a brand that originate from Japan, with a historical background for more than 15 years in Malaysia. 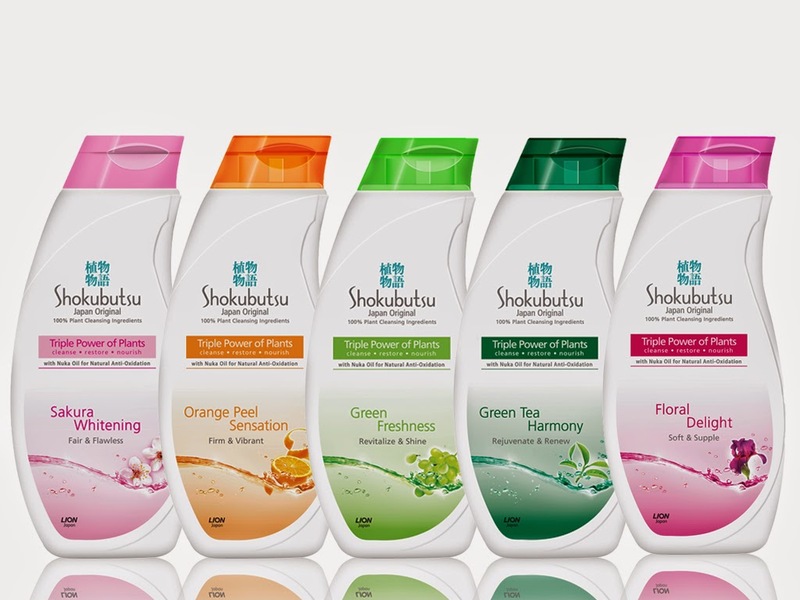 Introduced in 1998, Shokubutsu body wash based on 100% plant cleansing ingredients and formulation. Followed by the trend and market demand on natural ingredient beauty products, Shokubutsu has advocated strongly and being recognized by all, meeting the needs of consumers. 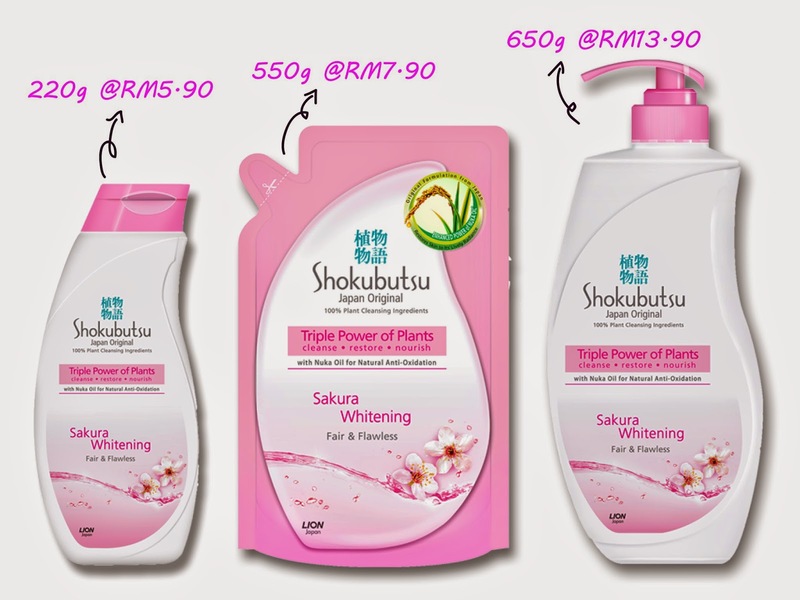 Now, Shokubutsu has launched their new body wash products again earlier on May --- Shokubutsu Japan Original's Triple Power of Plants. 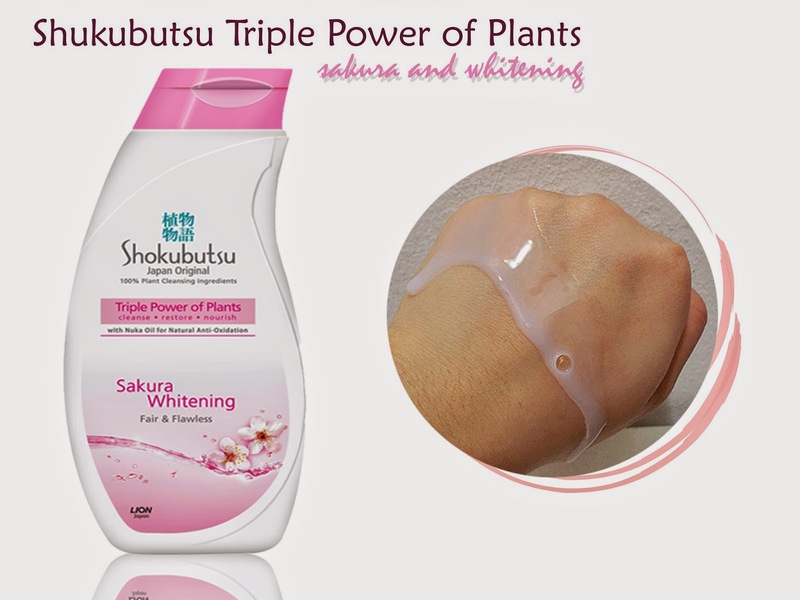 With a unique breakthrough of the Japan Original formula, Shokubutsu Japan Original's Triple Power of Plants further promises consumers 100% plant cleansing ingredients for pure, mild and gentle cleansing. Besides, it helps to cleanse, restore and nourish our skin, leaving us with healthier and radiance skin. Nuka Oil (Rice Ban Oil) -- an anti-aging ingredients which contains Oryzanol and Vitamin E, which act as a natural antioxidant agent which help to restore skin's radiance. To provide more choices and meet the consumer's individual needs, Shokubutsu Japan Original's Triple Power of Plants comes in 5 special variants. Consist of Sakura Leaf extract, it helps to whiten and leaving us with fair and flawless skin. Consist of Orange Peel Oil, it re-energizes our skin, leaving us with firm and vibrant skin. Consist of Grape Seed Oil, it helps to protect our skin from premature aging, revitalize and leaving us with shinny skin. Consist of Green Tea Extract, it replenishes nutrients on to skin, rejuvenate and renew skin's radiance. Consist of Iris Oil, it helps to balance moisture level on skin, making it soft and supple. Guess all of you would love to try it as well and here its time for GIVEAWAY! I will be giving away 6 Shokubutsu Sakura White (220g each) to 6 lucky readers! Check out the Rafflecopter entries below! The unique ingredients in Shokubutsu Triple Power of Plants is Nuka Oil (Rice Ban Oil). Thanks continue have new giveaway. Have a great day to you.